In understanding the Earth as an integrated system, ESRC explores the physical, chemical and biological processes that shape Earth's environment, with emphasis on the unique role of humans as agents of change. Established at University of New Hampshire's Institute for the Study of Earth, Oceans, and Space, ESRC research and educational programs cross the boundaries of traditional scientific disciplines to foster interdisciplinary understanding of environmental change. With field studies, space-based observations, data integration and modeling, we study environmental change from both scientific and policy perspectives. Built on strong collaborations that are national and international in scope, our center also serves as a teaching platform for the next generation of Earth System scientists and environmental managers. 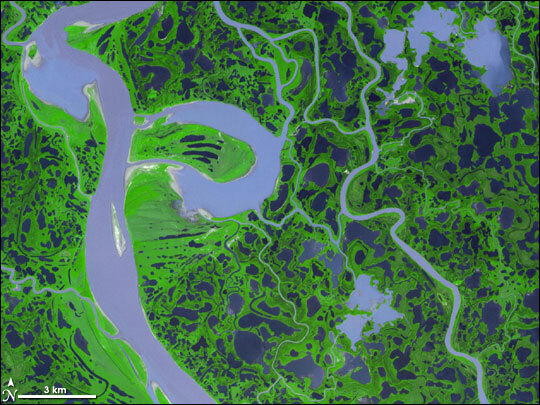 Earth Systems Research Center (ESRC) brings together ecologists, environmental chemists, Earth system modelers, and remote sensing scientists to study natural and human-induced changes in the Earth's water, carbon, and nitrogen metabolism. Our students are explorers. They can be found on the ice sheets of Greenland, in the Amazonian rainforests, and off the waters of New England, gathering scientific data on the workings of the Earth systems. ESRC graduate education programs encourage interdisciplinary approaches to understanding environmental change. The interdisciplinary research at the Institute for the Study of Earth, Oceans, and Space (EOS) offers opportunities for students to work alongside distinguished faculty in high-level research projects.